Construction on St. Isaac's Cathedral in St. Petersburg was begun in 1818 by Emperor Alexander I, and completed in 1858 by his younger brother, Emperor Nicholas I. Auguste de Montferrand won the competition to be chief architect on the project, but work on St. Isaac's proved fatal to the Frenchman, who died six weeks after the cathedral was completed. In the past 160 years the cathedral has been celebrated by poets and writers, who especially admired its massive size. The poet Fyodor Tyutchev wrote: "I stood by the Neva, my gaze / fixed on the giant of St. Isaac's ./ Its golden cupola was glinting / through a murk of icy haze." 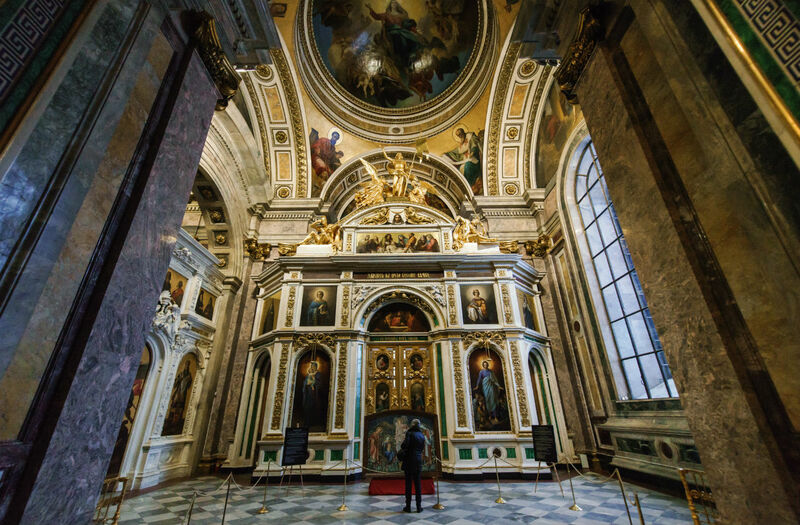 St. Petersburg's largest cathedral will be returned to the Russian Orthodox Church. In 1928, St. Isaac's became a museum, and its first exhibition was about the building's history. During World War II, the cathedral housed art works evacuated from other city museums. The Russians knew that German artillery was using the cathedral as a reference point and hence, avoided bombing it. In 1931, St. Isaac's became home to the world’s heaviest Foucault pendulum, a device that visibly demonstrates the Earth's daily rotation. 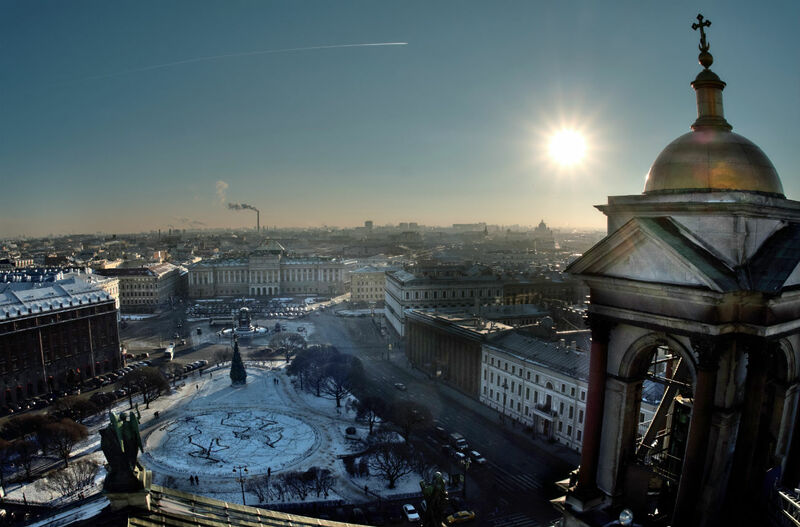 // Photo: View from the colonnade of St. Isaac's Cathedral to the Mariinsky Palace (Legislative Assembly) in St. Petersburg. The cathedral has three altars. The central one is dedicated to Saint Isaac of Dalmatia; the left-side altar is dedicated to Saint Alexander Nevsky; and the one on the right is dedicated to Saint Catherine. The the icon of Our Lady of Tikhvin is one of the cathedral's most revered treasures. Currently, church services are held in only one of the cathedral's chapels, while the main altar has been used for church services only on major religious holidays. Priority has been given to sightseeing tours. 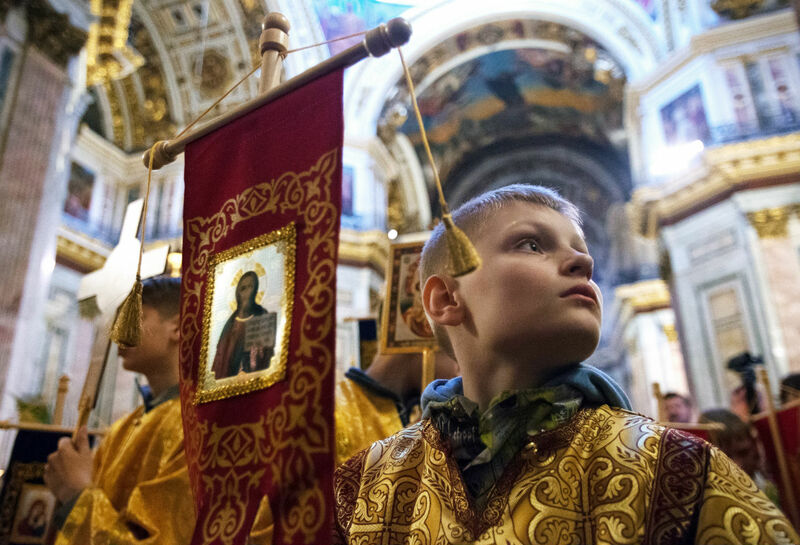 // Photo: A boy during a Divine Liturgy for children at St. Isaac's Cathedral. St. Isaac's will be handed over to the Russian Orthodox Church in 2019, rent-free for a period of 49 years. After the handover, entrance to the cathedral will be free. Opponents of this decision believe that both the city and the cathedral will be deprived of a major source of income. Currently, entrance costs 250 rubles ($4.2), while a tour in a foreign language costs from 1,000 to 3,000 rubles ($16.8-$50.3) depending on the number of tourists. 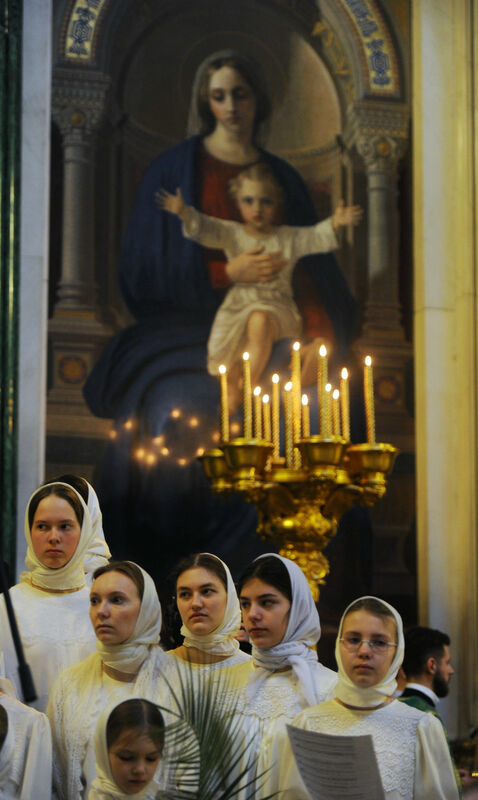 Opponents of the cathedral’s transfer to the Orthodox Church also fear that religious services will make it more difficult for tourists to visit. 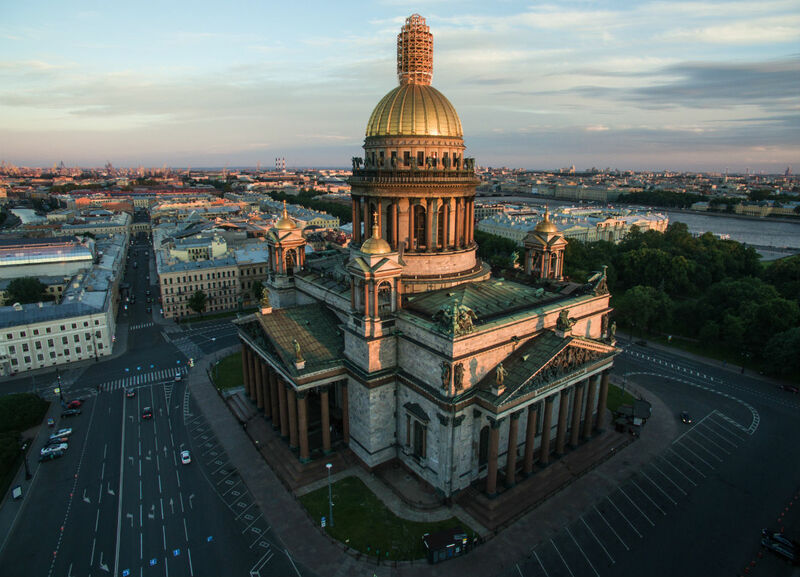 However, the office of the St. Petersburg bishop, and the spokesman for the St. Petersburg governor, confirmed that the cathedral will remain available for tours, and will remain a museum. According to the Union of Russian Museums' website, in 2016 St. Isaac's welcomed 2.3 million tourists and revenues amounted to 783 million rubles ($13.1 million). Of that amount, over 100 million rubles ($1.68 million) were spent on restoration, while another 100 million rubles went in taxes to the city. Officially, the cathedral remains city property. 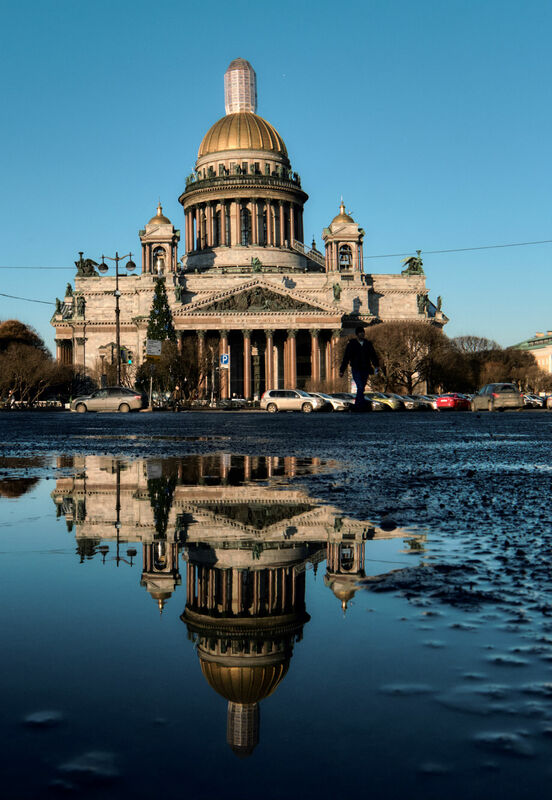 After its return to the Orthodox Church, the city will continue to cover restoration costs, and the church will cover daily operational costs. 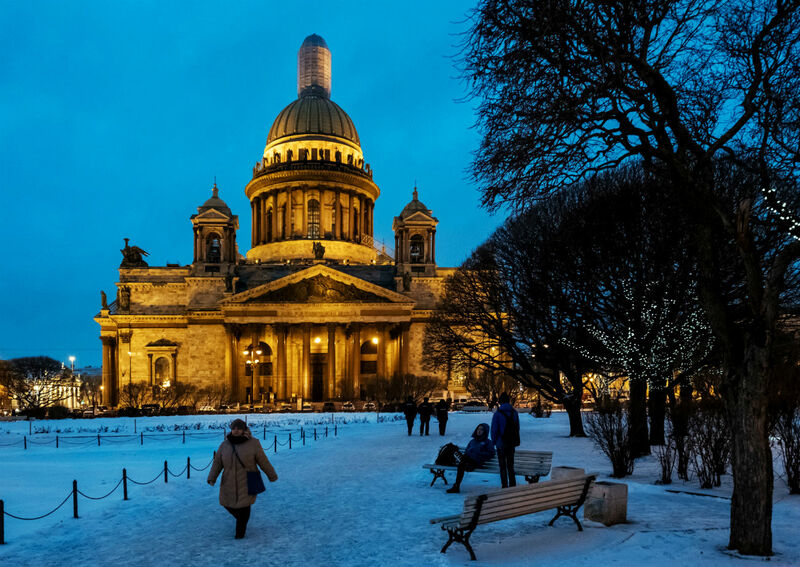 With a height of almost 330 feet, St. Isaac’s Cathedral is the city's second tallest building, after the Peter and Paul Cathedral. There is access to the colonnade and the observation deck, one of the most visited tourist attractions. Decoration of the cathedral’s interior required 900 pounds of gold, 16 tons of malachite, 1,100 pounds of lapis lazuli, and 1,000 tons of bronze. 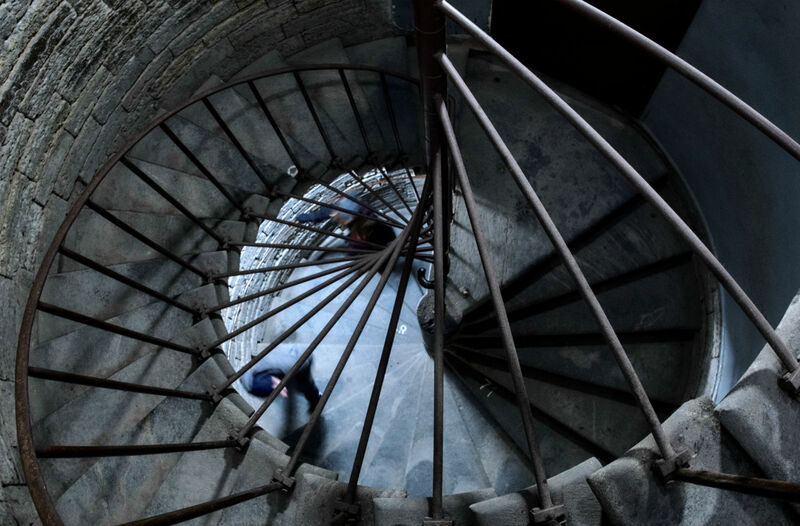 // Photo: Ascent to the colonnade of St. Isaac's Cathedral. The cathedral is decorated with large statues of angels, evangelists and apostles. There are 24 sculptures of angels and archangels just on the balustrade of the main dome. 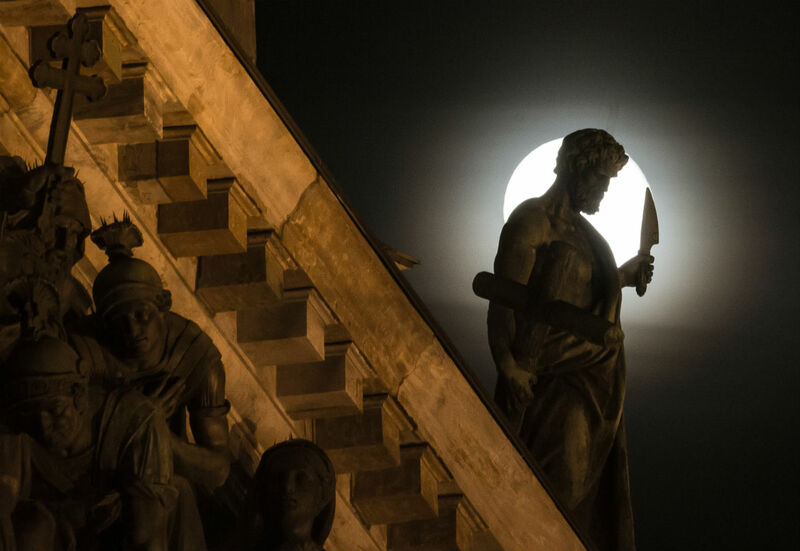 // Photo: The cathedral’s sculptures in moonlight. 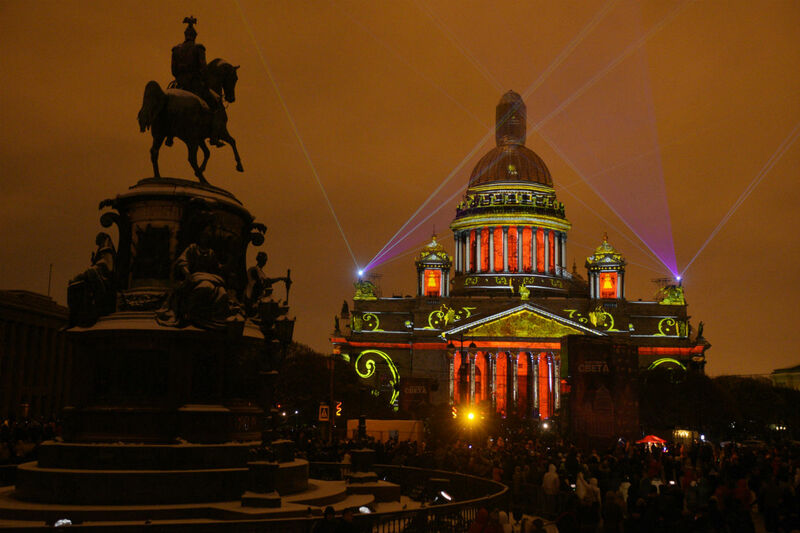 St. Isaac's was one of the venues for a 3D multimedia light show during the Festival of Lights in November 2016.